SmackDown Live’s first set of Money In The Bank qualifiers feature Daniel Bryan vs. Rusev, Miz vs. Jeff Hardy and Charlotte vs. Peyton Royce. John discusses the WWE Network’s latest Table For 3 featuring Shane McMahon, Kurt Angle and AJ Styles. 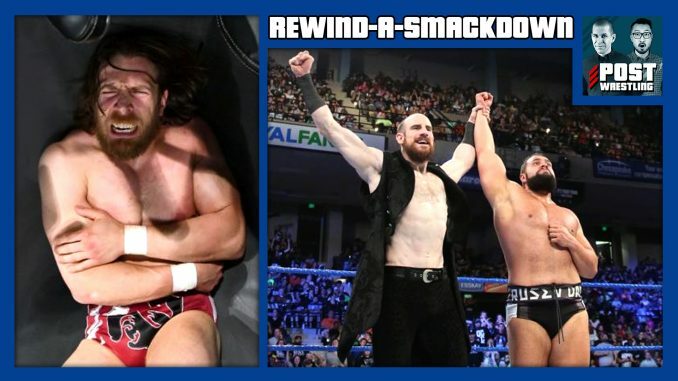 We also discuss the idea of introducing political differences between WWE’s “red” and “blue” brands, run down the card for Friday’s ROH War of the Worlds in Toronto, and take your feedback from the POST Wrestling Forum.